Opt for the Trailer Tow package with either engine and you will be able to tow up to 3,000 pounds. The 2017 MKC is a step in the right direction for Lincoln, thanks to controlled handling and interior luxury, but it lacks rear seat space and the cachet of its luxury rivals. 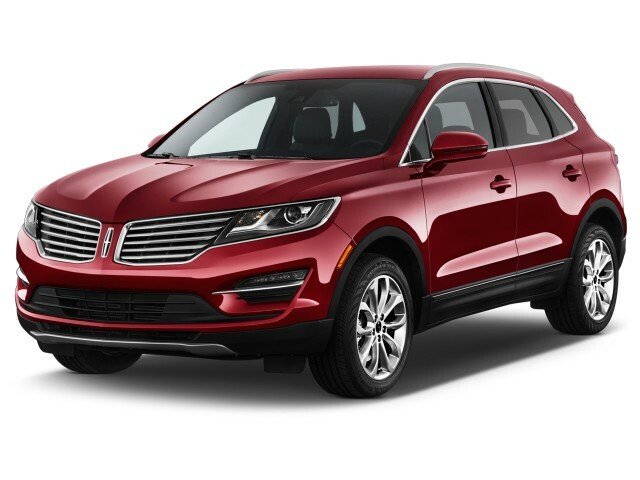 The Lincoln MKC is aimed right at the center of the compact luxury crossover market. While the MKZ sedan is quirky and somewhat eccentric in its design, the MKC looks sophisticated but fits right into its class, performs with verve, and wows with a luxurious cabin and plenty of technology, all at a few grand less than the equivalent models from more established luxury brands. 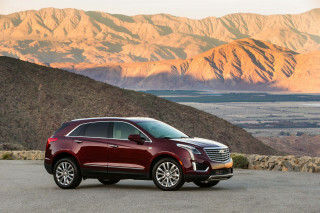 In design, the MKC makes a solid statement of purpose against the likes of the Audi Q5 and Acura RDX, and stands up well against new premium entries like the Cadillac XT5. It plays to a lot of standard-issue crossover styling themes, yet focuses in on a series of subtle design cues that show someone's paying attention. The front end is a slimmed-down rendition of the split-wing look that Lincoln is beginning to move away from, and the glass has been carefully framed to avoid any references to the Ford Escape, upon which it's based. The most interesting view is the one from the back, where the MKC's full-width taillights and the two-piece tailgate design are smoothly executed. Inside, the MKC skips the shift lever in favor of buttons, which may be a solution in search of a problem. At the center of the dash is a large infotainment screen housing Ford's new Sync 3 system. It's complemented by large knobs for tuning and volume, and has an array of climate-control switches on its elevated, kiosk-like center console. There's a rich feel in the materials, with Bridge of Weir leather and real wood trim available. Steering and handling are real strong points for the MKC. It's generous on poise and confidence, with a quiet, refined driving experience that's also never short on responsiveness when you need it. Through an available continuous controlled damping suspension with multiple modes, you can order up a more responsive driving feel when you want it, or a softer experience when you're just cruising. There's no V-6 engine option, but the MKC does better than that, really. With a 2.3-liter EcoBoost turbocharged 4-cylinder engine making 285 horsepower and 305 pound-feet of torque, the MKC can accelerate from 0 to 60 mph in around seven seconds, with plenty of power for quick takeoffs and no-sweat highway passing. It incorporates a twin-scroll turbocharger that makes for immediate power delivery—about on par with the V-6 engines of a decade ago. And it's all very quiet and refined thanks to extra noise insulation, a balance-shaft system, and active noise cancellation. The standard engine is a strong 2.0-liter EcoBoost, with 240 hp and 270 lb-ft of torque. It gets the vehicle moving quickly, especially with front-wheel drive. From the front seat, the MKC feels just as roomy and airy as mid-size models like the Lexus RX. Back-seat space is the weak point, with the MKC's tapered-down roofline and hard, upright seating not adding up to a luxurious experience for adults—especially if you opt for the twin-panel panoramic roof. Provided you don't dwell too much on the badge, the 2017 Lincoln MKC is a luxury vehicle through and through. And that's especially true with respect to its feature set. Even at the base Premiere level, the MKC includes power heated driver’s and front passenger seats, dual-zone automatic climate control, keyless ignition, Ford's programmable MyKey system, the Sync 3 infotainment system, satellite radio, speed-sensitive intermittent wipers, remote starting, HID headlights, reverse sensors, heated mirrors, 18-inch alloy wheels, and other features that collectively put it a step ahead of most other luxury-badge models. Stepping up from that, the Select Package gets you upgraded leather, more seat adjustments, ambient lighting, and plenty more extras. Reserve models are at the top of the lineup and get the dual-pane panoramic sunroof, navigation, a hands-free tailgate, and heated-and-cooled seats, among other things. Black Label buyers get a "curated" palette of colors and trim options, using finer trimmings and offered in a handful of design themes, as well as a host of special extras, including in-home ordering and an annual detail of their vehicle. A Technology Package brings a suite of active-safety features like lane-keeping assist, adaptive cruise control, a forward collision warning system with brake support, and a rear cross-traffic alert system. There's also Active Park Assist with Park Out Assist, which gets you in and our of tight parallel-parking spots without touching the steering wheel. It's good that the MKC offers a generous list of active safety features because the MKC has posted mediocre crash-test scores. Fuel economy is fairly good on paper, but we have found that it doesn't always deliver in the real world. The 2.0 with front drive is EPA rated at 20 mpg city, 29 highway, 23 combined, while the 2.3-liter with AWD comes in at 18/26/21 mpg. Based on the Ford Escape, the 2017 Lincoln MKC is more interesing to look at inside and out. What's in front of the driver is straightforward, if not quite as elegant. With a center stack that sloped downward toward the driver on a plane, and corners that have been pushed forward and outward as far as possible, it feels airy in the front seats. 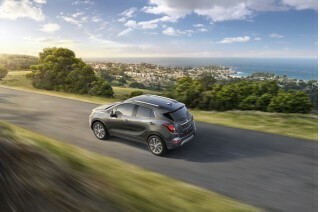 Top MKC Reserve models get Bridge of Weir leather and are better-lit by the huge panoramic roof. It's uplifting, but carries quite the price premium. 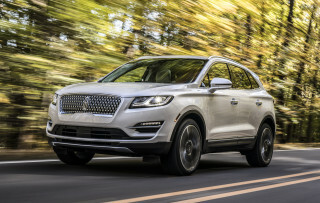 "Graceful athleticism" is a design theme Lincoln uses to describe the exterior, and the 2017 Lincoln MKC shows that from the side, in its stance. In profile, the MKC bears a lot in common to the Ford Escape, with which it shares much of its underpinnings. Yet if you look at it by the details, you might not actually know it. The MKC has unique sheet metal, and it's actually an inch lower in roofline than the Escape. And we'll venture to say that it's a lot more voluptuous and interesting to look at. The front end—with the Lincoln split-wing grille, HID headlamps, and LED accent lights—is a nice take on the corporate face that Lincoln is starting to phase out. Yet in back the full-width LED headlamps and super-clean look afforded by the unique clamshell-style tailgate are refreshingly different in a class of relative lookalikes. The 2017 Lincoln MKC boasts poised and confident handling, as well as a pair of strong turbocharged 4-cylinder engines. Steering and handling are real strong points for the MKC. It's generous on poise and confidence, with a quiet, refined driving experience that's also never short on responsiveness when you need it. Through an available continuous controlled damping suspension with multiple modes, you can order up a more responsive driving feel when you want it, or a softer experience when you're just cruising. In either case, the suspension can fine-tune its behavior in milliseconds to damp out road roughness or aid body control. The second key to that duality is a very tight, quiet cabin, further aided by active noise cancellation. All said, the MKC has a level of ride-and-handling refinement that's on par with what you'll find in the Acura RDX, Audi Q5, and BMW X3. The Sport setting is firmer than we might have ever expected from a Lincoln, leaving loads of grip, surprisingly little lean, and subtle, predictable loading and unloading through some tight, demanding esses. As for how those steering, powertrain, and suspension modes are selected, it's all part of a system called Lincoln Drive Control. The idea is that you have one "normal" set of choices for "D" and one other, sportier, set for "S"—all on the odd instrument-panel button-shifter. If you hit Sport twice, you can toggle on a "full manual" mode that allows you full control of the transmission via the steering-wheel paddle-shifters. Well, it's not quite full manual, as it forces a downshift when your right foot reaches the floor, but almost. This system lets you program quite different characters for the vehicle, based on two different steering-assist levels, two performance (powertrain) levels, and three suspension levels. The only catch is that you set those characters through a menu system, using the left steering-wheel toggle, and the settings are buried in the third layer of menus—so it's the sort of thing you'll set and forget for some time. The tuning of the steering really helps impart an unexpectedly sporty impression. We find it has excellent weighting, as well as just a tiny bit of feedback over bumpy surfaces when loaded up (desirable, but rare in this class). The brakes are also phenomenal, a world better than the Ford Motor Co. cars and crossovers of just a few years ago. They offer reassuring bite, a solid pedal feel (they've been upsized for the MKC), and no touchiness. Keep in mind, however, that MKC models with the base suspension aren't nearly as miraculous on a curvy road. They do boast steering that's just as great, but their body control is a little less coordinated. There's no V-6 option for the 2017 Lincoln MKC, but you won't miss it. The available 2.3-liter EcoBoost turbocharged 4-cylinder engine makes 285 horsepower and 305 pound-feet of torque. That adds up to some very rapid performance, plus plenty of power to spare for passing or gaps in traffic. That optional engine takes advantage of twin-scroll turbocharger technology to make throttle response immediate—on par with V-6s of less than a decade ago in both power and responsiveness. Although it can sound somewhat coarse when accelerating, active noise cancellation and plenty of sound blanketing keep the interior quiet, and a balance shaft keeps it smooth. Most MKC models will come with the 2.0-liter EcoBoost 4-cylinder engine. 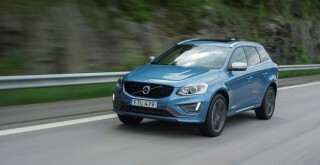 It makes 240 hp and 270 lb-ft of torque, and while it's considered the base engine it moves the MKC nearly as quickly as the 2.3-liter versions, especially in base front-wheel-drive form as it saves about 200 pounds. All versions come with a 6-speed automatic transmission, which is reinforced with a stronger torque converter for the 2.3. Downshifts can be a little tardy, though you can order them up quicker with the steering-wheel shift paddles and a little planning. The 2017 Lincoln MKC offers a plush, quiet cabin with plenty of comfort up front, but the rear seat is cramped. The MKC's controls are pleasing and straightforward, for the most part. Lincoln dabbled with capacitive sliders a few years ago, and those are gone here, thankfully, and replaced with real buttons and knobs. The push-button shifter is a bit of a novelty, but it works. While MyLincoln Touch was frustrating, the Sync 3 is simpler and easier to understand. We've spent very little time with it and we will update this review as soon as we've had some experience with this system in the MKC. From the front seat, the MKC feels just as roomy and airy as mid-size models like the Lexus RX. Lincoln has padded all areas in front of (and beside) the front and outboard rear occupants with soft-touch materials; even the lower glovebox panel ahead of the passenger is padded. Available supple Bridge of Weir leather and tri-level heating and cooling add to seats that provide impressive comfort and support in front. If you plan to exploit all the cornering forces afforded by the optional sticky Michelin 19-inch rubber, you might find them a little lacking in side support. In the back seat, materials and trims are just as impressive as those up front, but the contouring and cushioning don't feel luxurious. It's more cramped than about any model we can think of in this class, and with the available panoramic roof, 6-footers will find head room very tight. It's so cramped back there that we think you should skip the MKC if you plan to carry adults, or even teens, on a regular basis. Those back seats are split 60/40 and they flip forward just as easily as any other crossover of this kind. The cargo floor isn’t perfectly flat, but it measures out to a good amount of extra space for weekend errands. A variety of active safety features helps make up for imperfect crash-test results. So far, crash-test ratings and results have been mixed for the MKC. In federal testing, it achieved four stars in frontal impact, but earned five stars for side impact, including all subcategories. However, it received four stars overall. Most rivals get five. The IIHS hasn't fully crash-tested the MKC, but so far it's earned top "Good" results in the moderate front overlap and side impact tests. Ratings aren't yet out for the tougher small overlap frontal test—and they haven't exactly been stellar for the current Ford Escape, on which it's based (its "Poor" small overlap frontal result from the IIHS is particularly worrisome). While the safety ratings may not be stellar, the MKC does impress based on its safety equipment. Standard safety equipment includes the usual features, plus a driver’s knee bag and a rearview camera. Blind spot monitors with rear cross-traffic alerts are standard on higher line models. The Technology package gets you adaptive cruise control, lane-keeping assist, Active Park Assist with Park Out Assist, and a forward collision warning system with brake support. With that, the MKC gets the IIHS's "Basic" nod for front crash prevention. Outward visibility is a sore point. We find it difficult to estimate the MKC’s corners when parking, and there’s not a lot of outward visibility when changing lanes. Camera systems make up for that when parking—mostly—and there's an available active park assist system with a park-out feature, helping you pull away from tight spaces as easily as you pulled in, leaving you to control the accelerator and brake, with your hands off the wheel. The 2017 Lincoln MKC offers a lot of features for the money, but it's hard to consider it a true luxury vehicle. Provided you don't dwell too much on the badge, the 2016 Lincoln MKC is a luxury vehicle through and through. And that's especially true with respect to its feature set. The 2017 Lincoln MKC is offered in Premiere, Select, Reserve, and Black Label models. 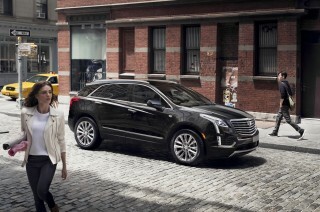 The Premiere's standard equipment puts it a step ahead of most other luxury models. Standard features include power adjustable heated front seats, dual-zone automatic climate control, keyless ignition, remote starting, active noise cancellation, Ford's programmable MyKey system, a nine-speaker audio system with satellite radio, an auto-dimming rearview mirror, speed-sensitive intermittent wipers, HID headlamps, reverse sensors, heated mirrors, and 18-inch alloy wheels. For 2017, a power liftgate and an auto hold function that keeps the vehicle in place when stopped without the driver's foot on the brake become standard. Last year, Lincoln began replacing MyLincoln Touch with the Sync 3 infotainment system. It includes a fully capacitive touchscreen, voice controls, and access to apps on owners' smartphones, as well as Apple CarPlay and Android Auto smartphone integration. The base Premiere also includes a media hub with two USB ports, an SD card reader, and an RCA input. You can also opt up to a THX II Certified audio system with 14 speakers plus a distributed bass system, or spring for extras like 19- or 20-inch wheels or several special paint hues. Stepping up from that, the Select Package gets you upgraded leather, more seat adjustments, ambient lighting, a universal garage door opener, an auto-dimming driver’s side mirror, auto-folding sideview mirrors, and a cargo cover. Reserve models get the dual-pane panoramic sunroof, navigation, a hands-free version of the power tailgate, heated-and-cooled seats, blind spot monitors with rear cross-traffic alerts, a power tilt/telescoping steering column, an embedded modem, and a 110-volt outlet. The Black Label comes with a "curated" palette of colors and trim options, using finer trimmings and offered in a handful of design themes, as well as a host of special extras, including in-home ordering and an annual detail of their vehicle. The 2.3-liter engine, the Continuously Controlled Damping suspension, and all-wheel drive are standalone options, so there are many, many builds possible. 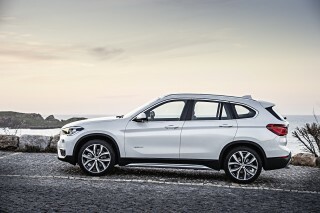 However, if you want front-wheel drive, you'll need to stick with the smaller engine. 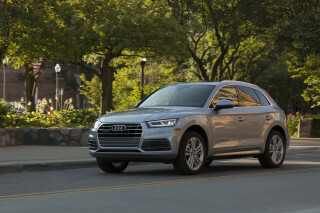 A Technology Package brings a suite of active-safety features like lane-keeping assist, adaptive cruise control, a forward collision warning system, and Active Park Assist with Park Out Assist; this system gets you in and out of tight parallel-parking spots without touching the steering wheel. A Trailer Tow package is also offered. A fully loaded MKC is right around the $55,000 mark, while starting prices are in the mid-$30,000s. 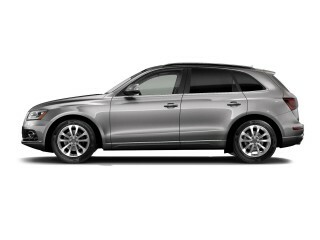 Whether the MKC makes sense or not from a value standpoint relates to how you see rival nameplates from Lexus and Audi. If those have extra value on their own, you might see more in those models, despite their lower feature content. Tapping into the power of the EcoBoost engines will take the Eco out of the equation, despite impressive fuel economy ratings. The numbers you see for fuel-efficiency of the 2017 Lincoln MKC are quite impressive. Yet we're not quite as sure that you're going to see the MKC's window-sticker numbers in real-world driving. With front-wheel drive and the base 2.0-liter EcoBoost turbocharged 4-cylinder engine, the MKC earns EPA ratings of 21 mpg city, 28 highway, 23 combined. Add all-wheel drive and that drops to 19/25/22 mpg. For 2017, automatic stop/start becomes standard on the 2.0 with front-wheel drive and optional on the 2.0 with AWD. The 2.3-liter EcoBoost comes only with AWD and it is rated at 18/25/21 mpg. Both engines come with a grille-shutter system that helps shut off extra airflow through the engine bay when it's not needed, improving aerodynamics, aiding engine warmup, and helping fuel economy. We've noticed fuel economy numbers near the bottom of that range—or even below it—in a couple of real-world drives. It's not hard to beat those numbers when cross-shopping. 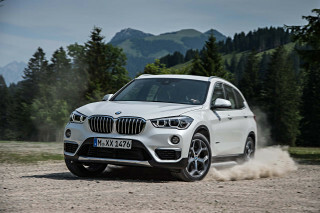 The Audi Q5, Mercedes-Benz GLK, BMW X3, and Lexus NX all offer hybrid or diesel options that can deliver better mileage; yet there are no such options in the works for the MKC. Looking for a different year of the Lincoln MKC?